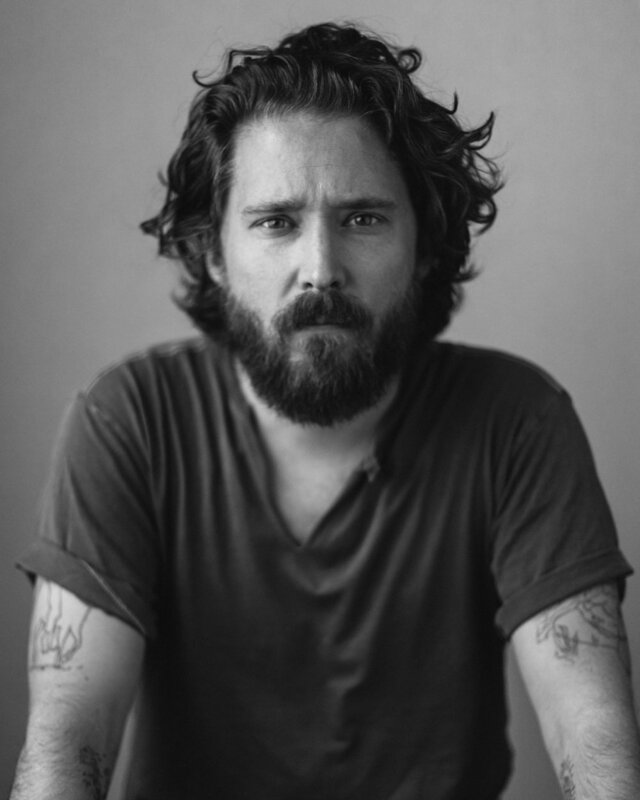 Son Little - "The Middle"
Christopher Paul Stelling - "Badguys"
What is the new magic of music? If you trace the path of a plan back to its beginnings, what do you find? Is it a tree, growing from seed with deep roots planted in fertile soil, branches arcing out in all directions? Or a spark in the dark, an electrical charge? Is it a waterway, with swirling currents raging to create a river? Or is it a snowflake, falling from on high and dropping down to earth with a singular splash? For Son Little, the genesis of a musical idea—the magic—remains largely a mystery. But his kinetic ability to summon that energy all the same, to command it, hold onto it, and set it in motion, is the stuff of alchemy. Son Little, the singer and songwriter born Aaron Livingston, is the easygoing musical alchemist of our time. He is a conjurer, and much like those of his heroes Stevie Wonder and Jimi Hendrix, his songs are deconstructions of the diaspora of American R & B. Deftly he weaves different eras of the sound—blues, soul, gospel, rock and roll—through his own unique vision, never forced, always smooth, each note a tributary on the flowing river of rhythm and blues. The currents empty into an estuary, and into this well water Son dips his bucket—trusting innately in the magic’s existence. And now, with his second full-length album, New Magic, he has delivered a profound statement, a cohesive creation that captures the diverse spirit of American music in a fresh and modern way. On the heels of his 2015 self-titled debut and the 5-song EP, Songs I Forgot, that came before it, Son Little found his reach steadily growing. His song “Lay Down” had been played over seven million times on Spotify, he had toured the world with artists as diverse as Leon Bridges, Kelis, Mumford & Sons, and Shakey Graves in addition to his own headlining runs, and also became a Grammy Award winning producer, earning a 2016 Best Roots Performance award for his work on Mavis Staples’s “See That My Grave Is Kept Clean.” But in the midst of all this success, so too did he find that the window for writing new songs was shrinking. Where his previous releases had been culled from various eras and scattered sessions early in his career, he now craved an opportunity to sit and write a new album in a distinct, unified direction, one that would establish his place in the world of black music. The only problems were: when, and how? But, as it happened, the guitar seemed to find him, too. “All those songs in Australia were written with one mic and an acoustic left-handed guitar I was playing upside-down,” he says. “It was borrowed from the Australian singer Gurrumul, a blind Aboriginal musician with this angelic voice. I needed a guitar and he was nice enough to loan it to me; I took it upstairs and all those songs came out of it. You hear people say guitars have songs in them, and that one certainly did. Whether or not Son Little was aware at the time of the overt connection to his pair of R & B heroes—Stevie and Jimi - that lending presented is unclear. Let’s, again, chalk it up to the magic. Having been handed the divining rod in Australia, Son Little was able to connect the dots and finish New Magic by early spring. The trio written Down Under form the heart of the album’s vibe, with “Kimberly’s Mine” leading the record off with its Old Blues soap-operatic feel, and “Charging Bull”’s funky, fevered groove and the D’Angelo-inspired R & B minimalism of “Mad About You”—a lovelorn, aching track Son Little claims found itself only when he stripped it down to its barest essentials—holding anchor in the middle. But the song that serves as the album’s true centerpiece is “Blue Magic,” a Philly Soul inspired number deconstructed almost like a rap song or the best of production savants like J Dilla, Madlib, and Sparklehorse’s Mark Linkous, complete with chiming glockenspiel bells and old school female backing vocals. With its origins predating the Australia trip, the song has the appeal of an instant classic, a feeling that did not escape its maker, either. Following that lead are the pair of “Bread and Butter,” a playful, modern take on James Brown, and “The Middle,” a classic drinking-blues, both deconstructed through a filter of musical Cubism. “ASAP” is Son Little’s fiery, direct take on a Hendrix rock and roll song, and “Letter Bound” reminds of a yearning, crooning Bobby Womack joint, with the “little cry” in Son Little’s voice, as Mavis Staples calls it, taking the spotlight. The album ends with the ethereal, gospel-tinged number “Demon to the Dark,” which serves as the singer’s conversation with Washington Phillips, a little known blind musician and church deacon from early in the 20th century whose song “What Are They Doing in Heaven Today” utilized the dulceola, a novelty instrument comprised of two autoharps essentially stuck together. Phillips was a man of strong faith, a deacon in his church, and in his music Son Little found a source of forgiveness as well as an inspiration to carry on. As chiming strains of Omnichord take us out, the electricity in the air is palpable, the belief and trust in the spark at its peak. What is the new magic? How did that deep well get there in the first place, and what is the source water of all these confluents pouring in? To Son Little, there is an attitude running through his makings and his music, a mighty river of superstition and Spanish castles that runneth over. And despite its murky and mysterious origins, the musician’s divination ability is just that—divine.